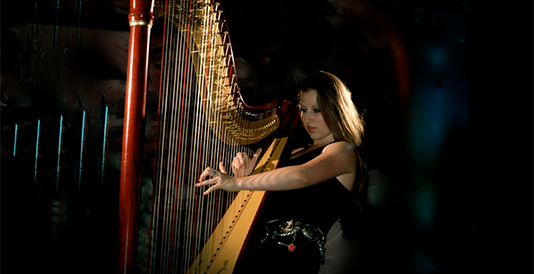 Harpist/singer/songwriter from Melbourne, Australia living in London. Cheeky, insightful lyrics, soaring vocals, magic harp sounds. Tara studied a Bachelor of Arts, Musical Theatre at the University of Ballarat and graduating in 2006. She also received her A.MUSA Piano Diploma in the same year. However It wasn't until she moved to Melbourne in 2007 with two mates from uni into a tiny little flat in Spray st, Elwood that Tara would finally rediscover her own voice and love of creating music. Bridging the gap between music theatre and the singer/songwriter Tara wrote and performed a sold out Cabaret in April 2008 called "It's not rock" which played at the iconic Butterfly Club. Infusing original songs and rock classics the show was a relative success and a stepping stone from theatre to straight live music gigs. Working as a piano teacher and at the TAB Tara picked up orchestral gigs and the odd original or cover gig whenever she could until 2010 when she gave up her day job to play music full time. Through bass player and friend Daniel Lynders Tara met her producer and keys player Jack Leftley at the start of 2010. Together they recorded "Glow", written with guitarist Tim Di Stefano, and on the 1st of August that year the song reached number one overall on the Triple J Unearthed charts and held it's position for two weeks. 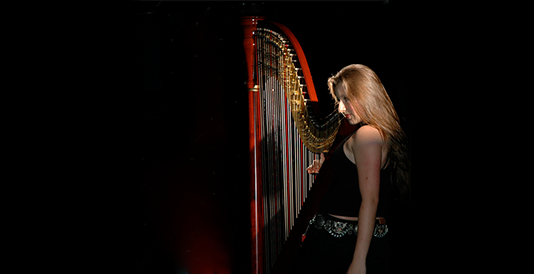 They then went on to record Tara's debut album that Winter titled "I harp you." 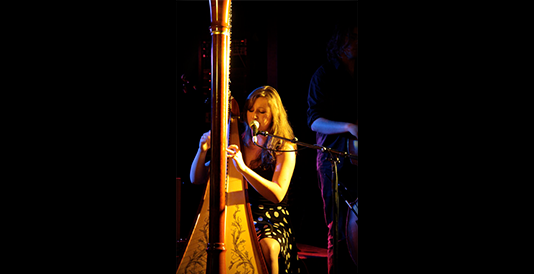 The album features eight songs written on the harp, telling the tales of transformation from a naive girl straight out of arts school to an artist with a deeper emotional maturity and worldly experience. The last song on the album titled "Gumby" is as ode to the instrument that was Tara's anchor throughout the journey. The rest of 2010 was filled with gigs as diverse as playing in the orchestra pit for Melbourne Opera and MYO to covers with wedding band "The Baker Boys" and topped off with a support slot for Aussie blues legend "Ash Grunwald." 2011 is shaping up to be a massive year for Tara. It kicks off with a live performance new years day at "Welcome the Summer" featuring house legend "Bob Sinclair" and is followed by the release of "I harp you", and then off to London - the big apple of music dreams! "I'm just going to stage dive into London and hope it catches me!"